"Primarily from Afghanistan, Albania, Georgia, Guinea and Ivory Coast." France saw a 22% spike in asylum applications in 2018, while countries led by populist governments such as Italy and Austria have seen claims plummet, according to Le Monde. 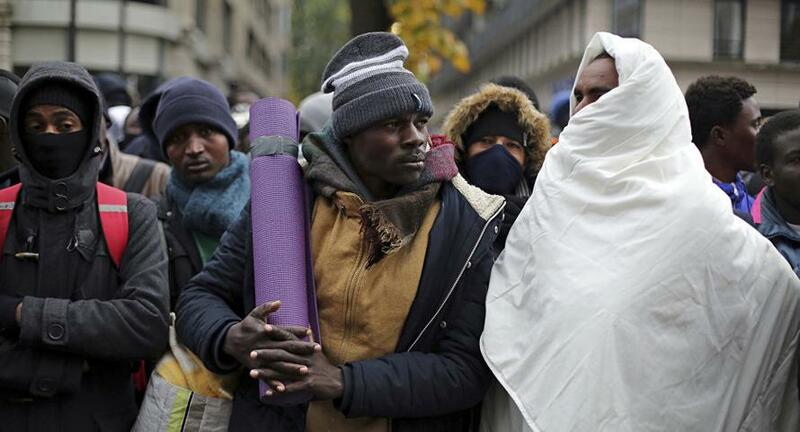 According to the French Interior Ministry, there were 122,743 asylum applications in 2018, primarily from Afghanistan, Albania, Georgia, Guinea and Ivory Coast. Of those, 46,700 people were granted asylum by the French government - up 9% according to the French Office for the Protection of Refugees and Stateless Persons (Ofpra). Most of those granted asylum are from Afghanistan, Syria and Sudan. According to an October note published by Didier Leschi, the director-general of the French Office for Immigration and Integration (OFII), France has become the "most attractive" country for Afghan asylum seekers who have been denied asylum elsewhere. According to Breitbart, France's acceptance rate for Afghans was 83% in 2017, while neighboring Germany's rate was far lower at 44 percent. Spain saw more than double the number of migrants in 2018 over 2017, according to IOM data. Populist countries, meanwhile, have seen a marked decrease in mass immigration - falling around 80% in Italy, for example, where Interior Minister Matteo Salvini closed the country's ports to migrant boats last June. The populist government has also passed several anti-immigrant laws. Several European countries last year rejected a United Nations mass migration pact in December, including Austria, Bulgaria, Hungary, the Czech Republic, Poland, Latvia, Romania and Italy. The global compact lays out 23 objectives to open up legal migration and discourage illegal border crossings. In its opposition of the deal, Hungary denounced the pact as a "serious mistake" that would lead to a fresh influx of migrants. Other populists to reject the pact include Brazil's new conservative president, Jair Bolsonaro, who said migrants had made parts of France "unlivable." NO ASYLUM...PUT THEM IN "SAFE ZONE" IN THEIR COUNTRY. THEY NEED TO SOLVE THEIR OWN PROBLEMS AND GET ON BIRTH CONTROL! First thing they need to do is get those rags off their heads in my opinion. What an absolutely hideous look. Ugh! People in Italy created a massive tribute for President Donald Trump with a Twitter sword and claw for raking through BS.